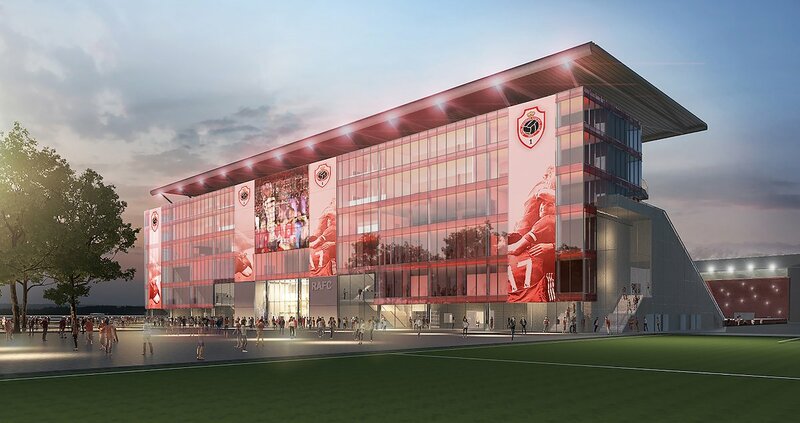 Antwerp's most important stadium is to receive a brand new west grandstand. Interestingly, the previous structure, though built in 1923, received a major overhaul as late as 2015. Capacity of the west side will more than double, growing from 2,373 to 5,362 people. However, the leap in capacity will be minimised by reductions in other sections (north and east), where efforts to welcome more disabled fans will result in significant cuts in regular seating. Overall the capacity is to stay at 12,975 for the short term, while further phases of the revamp should see it reach 20,000. 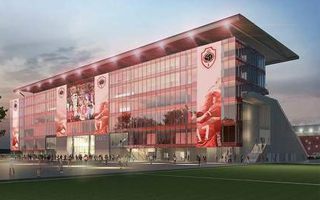 The new main stand will not only host more fans than before but most importantly offer six floors of infrastructure behind the auditorium. This way enough room for office, administration, press and hospitality areas will be created. The project was approved for construcion in early June 2017 and majority of the work is expected to be done by late September.